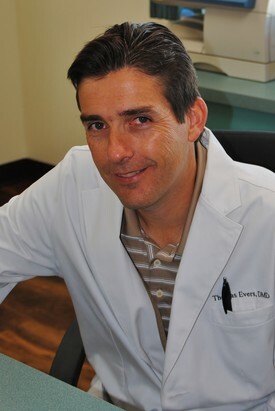 Thomas Evers is a 1991 graduate of Tufts University School of Dental Medicine, Boston MA. After dental school he completed a General Practice Residency at Monmouth Medical Center, Long Branch NJ where he received the Betty Weinstein Memorial Award for Dental Resident of The Year in 1992. Dr Evers practiced as an associate dentist in Monmouth County until 1997 when he opened his own practice in the Holland Center. He is married to his wife Mary, has two daughters, Gillian and Mary Grace, and two sons, Thomas Jr. and Charles. Dr Evers is a member of the American Dental Association and the Academy of General Dentistry. Dr Evers has completed numerous continuing education courses in every phase of dentistry and was honored to be invited to speak at the Light Force America annual spring meeting in Pittsburgh PA in April 2007. Since 1997 we have strived to provide high quality, patient centered care in a friendly, caring, high-tech environment.